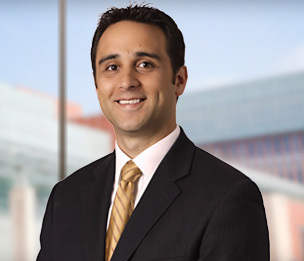 David M. George's practice focuses on tort and complex commercial litigation. He has represented clients from a number of industries, including pharmaceutical, aviation, automotive, financial services, title insurance, media and entertainment, public education and real estate development. He serves as both a counselor and advocate for Fortune 500 companies and individuals in high-stakes business matters. This representation has resulted in favorable settlements, dispositive relief, and defense verdicts for his clients. Mr. George has significant experience in defending class actions against automobile manufacturers in federal courts throughout the United States, many of which assert various fraud, breach of warranty and statutory consumer protection claims. His legal representation on high-stakes pharmaceutical products liability defense cases includes representing multinational manufacturers in multidistrict and related state litigation. Through his experience with the largest types of cases and governmental investigations, Mr. George has developed particular skills in discovery management. This includes managing complex E-discovery projects and supervising contract attorneys on large scale document review projects (electronic and paper). Mr. George has extensive litigation experience at both the state and federal court levels. He has represented clients at the appellate level in the United States Supreme Court, the United States Court of Appeals for the Sixth Circuit, the Michigan Supreme Court and the Michigan Court of Appeals. While in law school, he was an extern with the Michigan Court of Appeals. Mr. George actively participates in Dykema’s pro-bono program. He has handled matters ranging from helping clients obtain spousal support payments to representing a prisoner in habeas corpus proceedings in Federal Court. Representation of automotive original equipment manufacturer in class action litigation alleging product defects and consumer fraud. Representation of company in connection with the United States Department of Justice investigation into potential anticompetitive practices in the automotive industry. Planning and supervising the electronic discovery aspects of responses to grand jury subpoenas procured by the Department of Justice. Representation of pharmaceutical companies in the defense of litigation alleging off-label promotion and a failure to disclose adverse side effects. Serves as member of national science and expert counsel team for a global pharmaceutical manufacturer. Representation of aircraft manufactures and owners against wrongful death claims. Representation of family members in wrongful death action alleging air traffic control negligence. Representation of aircraft owners and insurers relating to negligent maintenance of aircraft. Representation of major mortgage servicers and lenders in actions seeking to circumvent residential foreclosures. Representation of lenders and title insurers in construction lien disputes in state and federal court. Advising independent film producer in all phases of film production. Representation of various national mortgage lenders seeking to recover losses due to mortgage fraud.. Representation of real estate development company in action for breach of purchase agreement. Representation of manufacturer in the defense of litigation alleging breach of sales commission agreement. Daniel v Ford Motor Company, 2013 WL 2474934(E.D. CA, June 6, 2013);2013 WL 3146810 (E.D. CA, June 18, 2013). Class action involving alleged rear suspension defect. The Court granted summary judgment for defendant as to most of the named plaintiffs’ claims, and denied class certification as to the claims that survived summary judgment. Miller v ETAS, Inc., 2011 WL 4949703 (Mich App 2011). Jury verdict in favor of automotive supplier and against former independent contractor seeking unearned finder’s fee. Court of Appeals affirmed trial court’s denial of plaintiff’s request for special jury instruction. Hertz v Miller, Case No. 07-14369, (E.D. MI, April 28, 2011). Motion for partial summary judgment granted based on defendant’s failure to serve expert reports regarding air traffic control negligence. Oakwood Park v Tracey Cathey and Option One, 2010 WL 5019414 (Mich App 2010). Affirming summary judgment in favor of lender and holding that mortgage has priority over condominium association lien. Irvin v Ville-Du-Lac Townhouses, 2010 WL 3564818 (Mich App 2010). Reversal of bench trial verdict holding that Master Deed created an express easement over townhouse’s property for adjacent property owner. Jacobson v Norfolk Development Co., 2008 WL 183317(Mich App 2009). Summary disposition affirmed for real estate developer against home owner’s breach of contract claim. "Has you client been SLAPP-ed?"